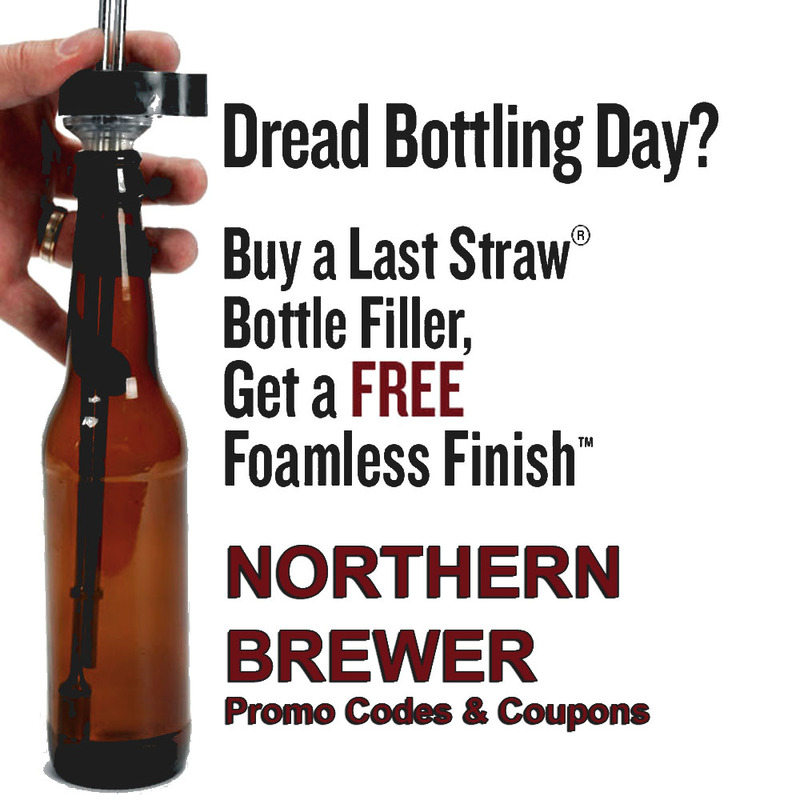 Coupon Description: Today at Northern Brewer, you can get a free foamless finish bottle filling tool with the purchase of a Northern Brewer Last Straw bottle filler. Northern Brewers bottle filler is quick to setup and easy to clean, the Last Straw bottle filler disassembles in seconds. Comes complete with tubing and fittings. Available for Ball-Lock or Pin-Lock kegs. Here are some of the features. Streamlines the tedious chore of bottling. Quick to set up, the ergonomic handle makes bottling effortless. Last Straw bottle filler breaks down for easy clean up.